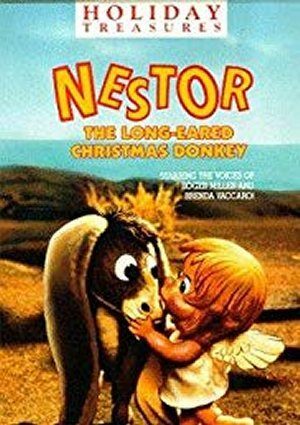 The wondrous story of Christ’s birth is told by an unlikely source: Nestor, a gentle donkey with incredibly long ears and a first-hand knowledge of life in a stable. This simple tale, which takes place in the days of the Roman Empire, is about a humble couple about to take a long journey to Bethlehem and a small, insignificant donkey that is destined to help them along. By all outward appearances, Nestor does not deserve such a privilege. Stable animals tease him incessantly for his long appendages until, finally, he is cast out of the barn into the winter cold. Snow and ice bring about even greater calamity for Nestor until he receives a dose of divine goodness. 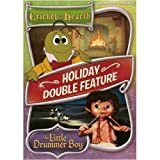 Nestor meets Tilly, a heavenly cherub (voiced by Brenda Vaccaro) who imparts guidance to the despairing burro and tells him that soon he will be chosen to participate in a miracle involving a star, a baby, a lowly stable, and some travelers named Mary and Joseph. Yes, as part of a combo pack with two other movies.